Regarded as one of the classiest cities, Goa is a world class city with modern amenities and a rich cultural heritage at the same time. Thousands of tourists visiting the city every year are a testimonial to the city’s appeal. There is no denying the fact that the city is indeed an expensive place in many aspects, yet it is possible to get best Goa beach resort. It is growing trend of economy hotels that makes it possible. Though you are getting economical accommodation, it does not mean that the services offered are not up to mark. The definition of cheap basically varies from person to person. What one person may consider expensive may appear cheap to another. However, the hotels classified as cheap or budget hotels are cheaper in comparison to regular or highly luxuriant hotels like five star hotels. Goa offers a broad range of hotels to cater to different requirements of holidaymakers. So, there are luxuriant hotels, the prices of which are sky-high. At the same time, there are hotels that offer a more economical alternative to people willing to spend a modest amount for their holiday. The hotels provide bed and breakfast services that are quite convenient as well as economical for travelers. Overall, they offer all facilities for a comfortable stay. Goa beach resort like Hyde by Toshali near Candolim beach is the perfect for people with stringent budget limits, holidaying with a large group or family, or travelling for other purposes. 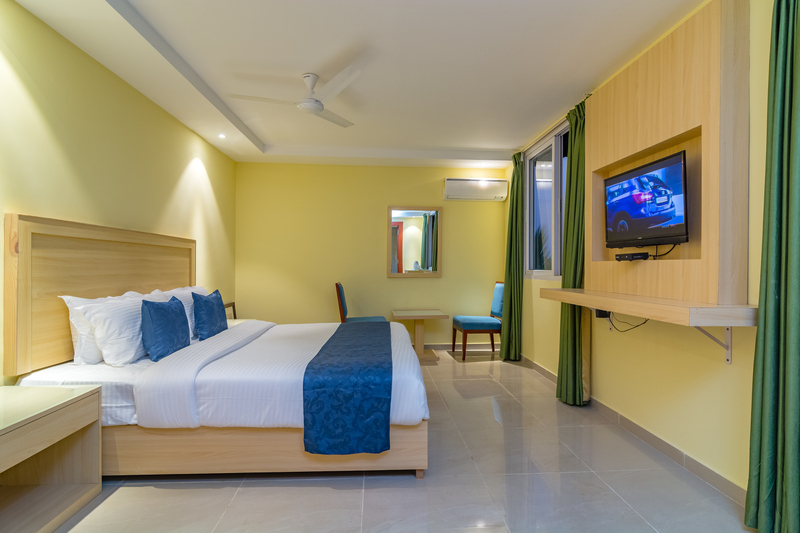 Economical accommodation in Goa are available in many areas, which are well connected to the airports, railway stations and also connected to many other place of interest for holiday seekers. A wholesome holiday means spending time on shopping, eating out, visiting the popular sights, wandering around the city, enjoying the local flavor, exploring the night life and so on, and that implies expenses. Saving on accommodation costs means there’s more to spend on your holiday. If the next holiday on your mind is in Goa, then explore the cost cutting possibilities of budget hotels. Must come to Hyde by Toshali, one best Goa beach resort will not only offer you a comfortable stay but also help you save a good deal. If you want to spend more time in the city like Goa, then it is wise to go for budget Goa beach resort like Hyde by Toshali in north Goa. Savings on lodging facilities is substantial if you wish to enjoy the city to the utmost.